The Ewing Fashion Agency is the agency of choice for many SecondLife™ designers, models and businesses with whom we have collaborated with. 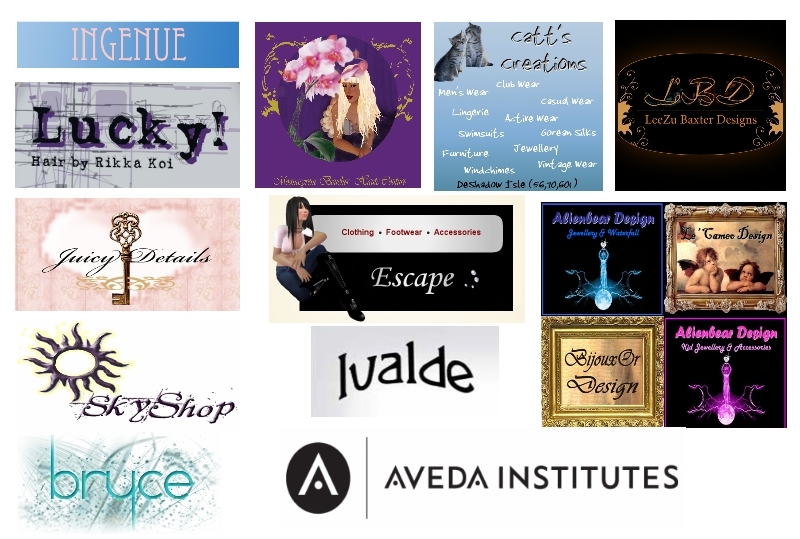 Working with every designer in SecondLife™ is like sharing or assuming the responsibility they have for safe guarding and building their brand names. I am sure any brand owner will agree that your name and brand is a result of your hard work and careful choices about the direction in which you should take it at any critical decision point. Each new product or service released is as important as the first, or perhaps even more as expectations grow and make greater demands on your creativity and delivery. The Ewing Fashion Agency is aware of the pressures that SecondLife™ business and fashion designers face and as a fast growing brand based on quality and delivery, it empathises with its clients, understands the challenges they face and works closely with them to achieve the growth and promoional goals, while safe guarding their creative integrity and expression. The agency has tried and tested methodology for show planning, which has proven both practical and popular. Perhaps this is the reason numerous SecondLife™ designers have made their runway debuts with us and have put their brands in our hands continuously. These are but a few of the brands we represent..
and this is what they say about us..
“I had the pleasure of working with Una Ewing and all the models at the Chocolate Runway a couple of weeks ago for the Frist Impressions fashion show. I couldn’t have been more pleased with the experience. Una and all the models are incrediably hard working and professional. Una was always open to my input as the designer. The show went off without a hitch, and as well as presenting a lovely fashion show, Una went the extra step of creating a marvelous catalogue of the fashions presented for guests to take home with them. I would wholeheartedly recommend The chocolate runway to any designer looking for a venue for their fashion show”. “Working with Una Ewing means: having fun, feeling great and trusting in everything she does! She’s doing excellent work – organising everything about a fashion show! Music, models, accessories! It`s really great to work with her! everytime again!”. “Working with Una Ewing and the Chocolate Runway was remarkably stress free. As anyone has done a fashion show knows, this is defintely very unique. Una did a marvelous job of coordinating the models and matching accessories to my clothing. And immediately after the show finished those items featured in the show were being purchased at my store! I couldn’t have asked for a better result”. “When Una Ewing approached me to do a fashion show, I kind of thought she might just be another weirdo looking for free hair. Fortunately, I gave her the chance to speak her piece, and decided there couldn’t be any harm in giving her a few samples for her runway shows. Una and her models have always been professional and respectful, as well as easy to get along with. I’m glad that Una approached me that day. .”. “Someone once said you don’t get a second chance to make a first impression. In the case of First Impressions and Una Ewing no second chance is needed because the first impression was fabulous. Our experience with her and our first fashion show was phenomenal. From the very beginning Una’s approach was professional and confidant. She was organized, knowledgeable and most importantly reassuring. Without her we would have been sent to a rubber room as complete mental cases. She showed a remarkable ability to work with creative talent and still be organized. For us the process was painless…. I can only imagine how hard she had to work to pull off the show. Our creations were well received, the press was there and we have had wonderful follow-up from the show. This girl is golden…both LeeZu and I give her the highest recommendation. We cant wait for our next First Impressions fashion show”. “It was great working with Una Ewing and her Modeling Agency. They were professional, resourceful and experienced. I would recommend the participating in the First Impressions Fashion Show to other designers”. “I had never taken part in a fashion show before when Una approached me asking if I would be interested. The show was only a few days away when I confirmed I would be taking part but you would never have known – the show went beautifully. I’m sure Una and the models must have worked extremely hard to integrate my collection so seamlessly at such short notice. I was extremely impressed by the professional way in which the show was handled and very grateful that Una took care of everything – from outfit selection and fitting, to the venue and show itself, not to mention invitiations, press, goody bags and photography! As a designer all I had to do was sit back and watch as the models expertly showed off my collection at its best. So to Una Ewing, and the models – Holy Payne, Nikita Ewing, Rena Mascot and Ladeebird Chastity – thank you all of your hard work and I look forward to working with you again”. I asked her who she admired in the modeling agency world.